Andermatt is a small, pretty village set amongst a huge backdrop of alpine peaks and mountain passes, nestling in the heart of the Urseren Valley. The highest stands at 2400metres, while Andermatt is at 1400metres, so it’s a pretty looming peak. The views are magical. In fact Andermatt was the location for one of cinema’s most iconic car chases, when 007, played by Sean Connery, chases Auric Goldfinger through the mountains. Iconic, enchanting and in spite of a nearby development which includes an 18 hole golf course and 5* hotel, it retains an authentic Alpine charm. The best places to stay in Andermatt will leave you breathless with wonder and excitement. As far as skiing goes, Andermatt is a great place for freeriding, and for intermediate level skiiers. Considered by many to be the new Verbier, Andermatt is connected to Sedrun by pistes and the lift tickets are valid across both resorts, including on the Gemsstock Cable Car. The Andermat Ski School is run by a team of dedicated, fun-loving professionals who make for the perfect instructors for first-time skiers, and many of them also double up as hiking guides in the summer. The après-ski in Andermatt ticks along nicely, and there are some lovely bars and restaurants, most of them in hotels - many in our pick of the best places to stay in Andermatt. In summer the area is transformed, blooming green and wide and decked with wildflower, becoming the perfect place for hikers and climbers and for mountain bikers who really want to be tested to the peak of their potential. Trek up Oberalp Pass to the very top where you can find a cafe and drink in the breathtaking panoramic views of the valleys sweeping lush and green beneath your feet. In town is the Talmuseum Urseren, a fascinating folk music detailing the history and culture of the region. If you're a first-time skier, be sure to book lessons with the wonderful instructors of the Andermatt Ski School! During the summer, go hiking through the lush green valleys. Enjoy an apres-ski at one of the many cafes, bars and restaurants scattered throughout the village! Head up the Gemsstock Cable Car and enjoy the spellbinding views. Andermatt is great for first-time skiers and weathered professionals. Fast-becoming the new Verbier, it has an authentic charm unrivalled by other Alpine villages in the region. 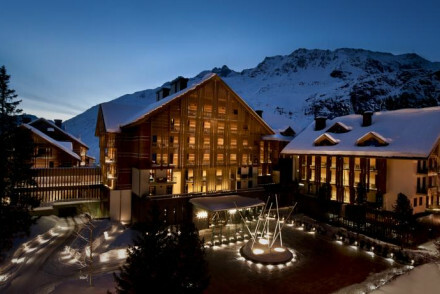 Check out our collection of the best places to stay in Andermatt to find out why! 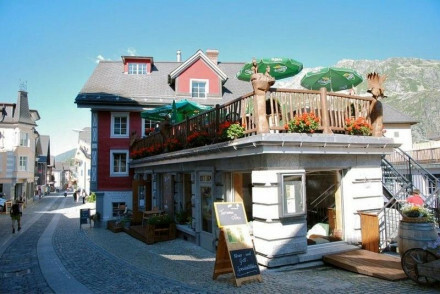 The River House occupies a beautiful, 250 year old building in the heart of Andermatt. There are just eight traditional style rooms but there’s also a lovely bar and patio. The Chedi is quite special, nestled into the Urseren Valley, but not far from central Andermatt. There are 106 modern alpine style rooms, an indoor and outdoor pool, a vast spa with a fitness centre, sauna and steam bath and two restaurants. 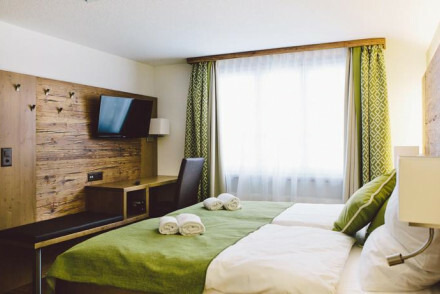 For around £100 per night you can get one of 20 rooms at the Hotel Crown, a centrally located hotel with generous sized rooms - many with a balcony - and a contemporary, alpine character. For a little more you could opt for the Baren Restaurant & Rooms, which has just six rooms and a seriously gourmet French/ Italian restaurant. The rooms are bright and modern, but feature alpine-style wood panelling. Our partner Booking.com has a wide range of chalets and apartments in the nearby area. Fly to Zurich-Kloten Airport, get a train directly to Andermatt, which takes roughly 2 hours. The Hotel Crown brings together contemporary living and Alpine character, with its generously sized, tranquil rooms, of which most feature a balcony. 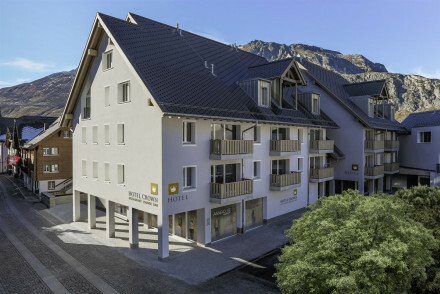 Sat in the heart of Andermatt, it is he ideal place all year round, being within close proximity of the mountains many ski slopes and bike trails. In Andermatt's traditional Alpine setting, The Baren Restaurant's bright rooms bring together tradition and modern life with its quirky clean cut furnishings and Alpine wood paneling. For those who like gourmet food, sample the range of French/Italian cuisine from the award winning restaurant. Foodies - Enjoy the award winning restaurant's French and Italian cuisine. The River House is a 250 year old building providing cosy Alpine rooms in the heart of Andermatt. The traditional wood furnishings and individually styled rooms give The River House its charm alongside its bar and patio, which welcome you in from a long day on the slopes or exploring the town. Nestled in the Urseren Valley The Chedi is a Swiss gem. The modern, luxuriously designed rooms hold a true Alpine character, and allow visitors every comfort. Two pools and a vast spa provide relaxation from a day in the mountains, before an evening spent in one of the hotel's two restaurants. Spa - Extensive spa and wellness facilities are available, with a fitness centre, sauna, steam bath, and massages. Swimming Pool - Both and outdoor pool and a 35m indoor pool that provides stunning mountain views.